Ave. Melgar and 5 Ave.
"and above all else, to thine own self be true"
If you've clicked here, you are already a technical diver looking at what we have to offer or either an experienced diver looking to expand your horizons, or a new diver who is just curious. All the same we are bound together by the challenge of the next step and our curiosity as humans. After many offered definitions, the community at large has come to an agreed consensus, that loosely states; "Any dive that exceeds the recreational limit of 130ft/40m, that is within an overhead enviroment, either virtual(deco), or literal(cave),using gases other than air, and using accelerated gases for the facilitation of decompression, can be described as a technical dive. topography on the awesome walls within our reefs. The freedom to explore these wonders safely is acquired through a discipline, achieved through advanced and methodical training, commonly called "Tech". At the center of safety in technical diving is an honest self assesment. It requires discipline and the constant persuit of excellence. Although the basic skills required in technical diving are the same as in recreational diving, the level of performance and precision warranted in the performance of the same is exponentially higher, in what can quickly become a very unforgiving enviroment. It has been said that divers, educators and organizations underestimate the degree of skill required to dive competently in any enviroment, we cuncurr with that observation. Lastly, risk. There is increased risk associated with any extreme activity. Have you thought out the implications of these to you and your loved ones? "If you bring forth what is within you, what you bring forth will save you; If you do not bring forth what is within you, what you do not bring forth will destroy you"
First, experience. At the bare minimum, to be qualified as A.O.W. 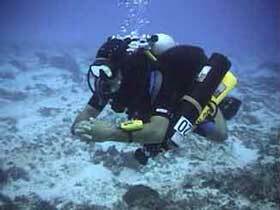 with at least 100 dives 20 of those to the 90-130ft/30-40m range and to be currently an active diver. Diving at this level is more than a sport, it's a discipline. Don't let the word put you off, it's still fun. Disciplined fun! Purpose: To teach the safe exploration of the cavern enviroment within specified limits. 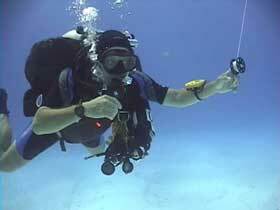 This course is an extension of recreational diving designed for the use of single tanks. The course develops and establishes minimum skills, knowledge, dive planing abilities, problem solving procedures and the basic abilities to safety cavern dive. Unlike the other NACD courses, prospective students may be encouraged to enroll in the Cavern Diver Course. The NACD feels that this course is incomparable to other open water specialty classes and will have significant safety benefit for all active scuba divers who enroll, even if they do not continue to dive in the overhead enviroment. Promoting students to continue training or diving in the overhead enviroment beyond this level is a violation of NACD ethical standards. Course duration: This course may be taught over a period of two days. Pre-requisites: A. Open water certification. B. Minimun age 16, with signed parental consent. Provisional status certification for younger divers with approval of NACD training director only. Purpose: To develop basic cave diving skills with limited penetrtions in the cave enviroment. 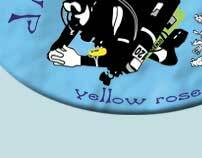 This is the second level of the progression to the full cave diver certification. It is a recreational cave diving course. The course develops and establishes minimum skills, knowledge, dive planning abilities, problem solving procedures and the basic abilities necessary to safely cave dive to limited penetrations, using single tanks. 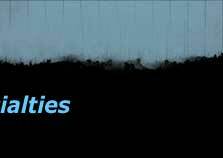 Course duration: Minimum time: two days Pre-requisites: A. NACD cavern diver or equivalent. B. Minimim of 25 logged non training dives. C. Minimum age eighteen unless waived training director. Purpose: To teach the openwater diver the necessary skills to safely dive in the overhead (cave) enviroment. Course duration: May be taught in a week long program, (6-8 staright days); or in a modular program consisting of cavern, intro-to-cave and full cave. Pre-requisites: A. Advanced open water or equivalent, or intro-to-cave or equivalent, if entering from the modular program. B. 18 years of age. Designed to train divers to operate in 100fsw-170fsw (completes knowledge of EANx) for deco; covers theory, confined water training, and 300 mins bottom time. Includes gases, cert fees and boat dives. Learn to dive depths to 200fsw, taking advantage of the reduced narcosis afforded by using helium in the gas mixture. Includes gases, cert fees, and boat dives. Trimix affords a safer means for deep water exploration, for divers who must dive deep or perform with clear heads at intermediate depths. 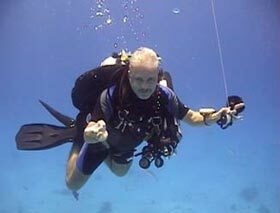 Training to 260fsw, includes gases, cert fees and boat dives. 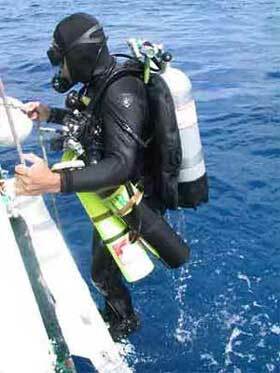 Technical Diver Supervisor may supervise divers in OW and students in all Standard Programs (except O.E.) and IANTD Technical Diver, and (if they meet the pre-requisites) Trimix, Rebreather, Wreck, and Cave Diver under the direction of a qualified IANTD Instructor. (c) Copyright 2001dive cozumel. All rights reserved.